It’s no surprise that I’m a LEGO® fan, I enjoy buying, building, displaying, collecting and just about everything else that’s connected to the brand. But my love of LEGO doesn’t mean I view all their actions through rose-tinted glasses. A very annoying pattern seems to be emerging with LEGO sets in recent months and it’s a practice which seems to be annoying many more beyond just myself. Regional exclusive sets are on the rise and it seems to be becoming a growing issue. 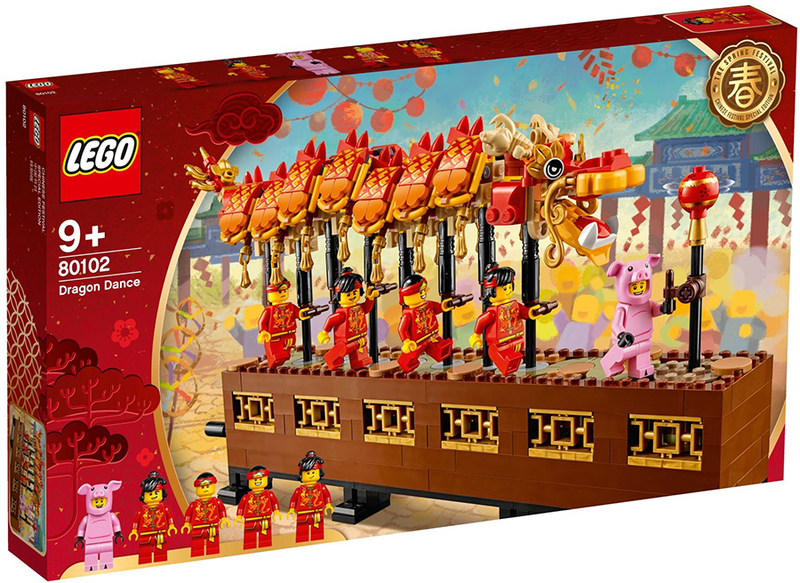 The first major instance of this was the release of two special Chinese New Year sets. Unlike all other past seasonal sets, these have been limited to the Asian market along with Australia region. Now these are not some little quirky sets, these are fairly large scale and detailed playsets. Although the subject matter is tied to the region they are only available in, making them exclusively available to a limited market has annoyed LEGO fans worldwide. Secondary market sales for these sets are stupendously high, with those keen to add the sets to their collection, are being forced to pay almost double the RRP. Then this weekend, four new LEGO BrickHeadz were revealed by the UK filmed official LEGO News Show. Many have been keen to learn how they can get their hands on these sets. But in recent days, it’s been discovered that two of the sets will be available exclusively at Walmart and Target. Retailer exclusive items aren’t a bad thing, it can make them a little more difficult to locate but these sets are almost always available directly from LEGO retail channels. But not this time around, US residents have been in touch with LEGO C/S who have stated these sets are not showing on shop.LEGO.com databases, which seems to suggest they will actually be limited to selected retailers. If that wasn’t annoying enough, they are also limited in quantity, with only 5000 being made. There has been no confirmation by LEGO if these sets will be available beyond the US. As someone who has collected every single retail-released BrickHeadz set, they possibly of not owning these new sets, genuinely pains me. After collecting nearly 80 plus sets, I may miss out on the last few, due to a chaotic release method. Then there is the saga of the Toys R Us Minifigure Packs. Over the past few years, the now defunct toy retailer, would offer a number of exclusive sets. Although only available at one retailer, they were fairly easy to get hold of worldwide. Unfortunately TRU closed all stores in a number of countries including the UK and US. As the Minifigure Pack were already produced, the remaining TRU stores in Canada and Germany offered the sets as normal. Many asked LEGO if these would be arriving in countries which no longer had TRU stores and the responses were all over the place. First it was suggested on Twitter they would be available via Barnes & Noble in the US. Before backtracking to clarify only the Harry Potter pack would be available. Then it was suggested the sets would be available through LEGO retail channels. This too was incorrectly given information, although the NINJAGO pack was briefly given away in US Brand Stores. To date the Jurassic World and Marvel sets extremely difficult to locate. The fact they contain rare characters means they are highly sought after. Although it isn’t the LEGO Groups fault that TRU folded, it could of made more effort in allowing these sets to reach fans in all locations previously covered by TRU. Be that through their own retail channels or numerous retail partners. Or at least offer a consistent stream of communication regarding the sets. There’s also chase Minifigures, 60th Anniversary Classic sets and Comic-con exclusives. There is method to the madness I guess, but limiting sets with such a wide appeal, especially in the case of the BrickHeadz, is becoming increasingly damaging to the LEGO brand. For Chinese New Year, LEGO put out a facts video on social media and almost all the responses to it, questioned the limited locational availability of the two CNY sets. 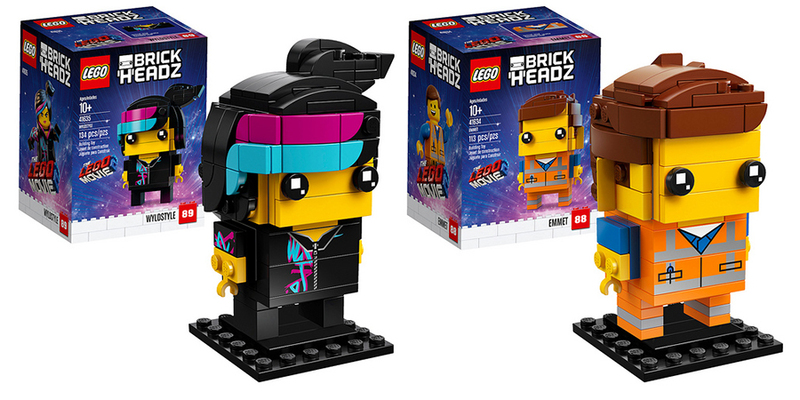 The same sort of backlash is starting to swell around The LEGO Movie 2 BrickHeadz. I fully understand the decisions to partner with various retailers for certain sets and even full themes, but the continued limitation of popular sets to certain markets is angering far too many fans, the very same people who helped to keep the LEGO flame burning bright, even in the dark times. I genuinely hope it’s a trend which will not become more widespread. The world is a smaller place these days and imposing limited availability, will continue to annoying those who love the brand so dearly. LEGO may be a business but they should remember their motto: “only the best is good enough”. There is a way to make your thoughts known, reach out to LEGO on their various social channels or better still contact LEGO C/S directly to log your complaint. The more people who make their thoughts known in a official manner, will help get the point across. I’ve complained to Lego Customer Services on a number of issues. I don’t bother anymore! And, I’m fed up asking family and friends abroad to pop into particular stores to hunt down exclusives… I just had a conversation with my brother in California. He’s a very busy doctor. He can’t be seen shopping in Walmart! You’d think Lego made a deal with scalpers or something. I only hope that they will do twin packs of the “exclusive” Brickheadz down the line. This is a big movie with far reaching appeal. It makes no sense to limit any sets of the theme to one country. I strongly agree with all you said. I’ve complained to Lego Customer Services a number of times regarding this too. I have also complained about Lego store only items but they don’t seem to take much notice. And there go the next 2 US exclusive brickheadz. Only to target customers who have their red credit card. The only Lego ever that a child can’t buy? Wonder if the boxes say 18-99. Already on eBay for stupid money. They’ve angered some people on social media to the point of them saying they won’t buy any more Lego at all. I’m certainly furious that there’s a possibility of not being able to complete my full run of brickheadz.